Let’s face it, Brexit is the hot topic this month, last month, and pretty much every month since the vote happened. Barely a day goes by where you don’t see a news article about the state of negotiations, what other nations think of our plans, or how it might impact a certain industry. That’s because Brexit might be the biggest thing to happen to our country since sliced bread, and it will affect almost everything in our country in ways we haven’t even thought of yet. Just one of those things is the housing market. Now, the housing market has been under speculation for a while now anyway, as the demand for new, affordable housing grows and more and more people find themselves stuck in the rental loop. But what new changes could Brexit bring, and how likely are they? This is the most commonly asked question at the moment, so we’re going to tackle this first. The answer so far seems to depend on who you talk to. If you look at what traders on the stock exchange think, then the housing market is set for a pretty severe slowdown, with developers like Persimmon, Taylor Wimpey and Berkeley Group’s shares all taking more than a 20% hit. If we are faced with a no-deal Brexit (which it looks like at the time of writing), then a few things will happen altogether. The economy will suffer, unemployment, consumer prices and interest rates will probably all rise, and house prices could take a nosedive to the tune of a 25% to 30% decline. On the other hand, we could see a ‘deal’ Brexit, or no Brexit at all, in which case things would likely be a bit more stable. The current projections show a slow rise in house prices, going up by no more than 1%. In fact, figures recently published by the Office for National Statistics show that average house prices have only risen 1% between June 2017 and June 2018. The problem is, no one can predict what will happen to house prices when/if Brexit happens. There are so many variables in play that it’s almost impossible to work out, so the best we can do is make educated guesses. The sad fact is, Brexit has already left its mark on the UK housing market, and it hasn’t even happened yet. The housing markets in London and the South-East have already slowed, and house prices in London actually fell 0.7%. Transaction levels for properties in the capital are down 20% year on year, and the trend is continuing. The number of homes being put on the market for £2m or more fell by 25% in Q3 last year, and everywhere else in the country house prices continued to rise at a snail’s pace. The number of sellers on the market has dropped substantially, as people continue to ‘wait and see about Brexit’ before they decide if they want to sell their property. 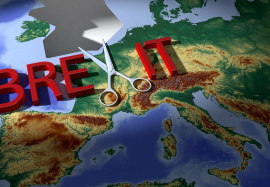 The looming prospect of Brexit has created an underlying uncertainty in the market that has caused it to almost grind to a halt. It’s like we’re all holding our breath, waiting for the hammer to fall one way or the other. This is where we can see an advantage to the uncertainty of Brexit. Because no one is quite sure what will happen in the future, mortgage rates have been staying low, keeping the cost of house ownership lower too. In fact, in August the Bank of England raised the base rate from 0.5% to 0.75% - the first rise in a decade. The banks have since said that while interest rates will continue to rise, it will be very slow. At the same time, homeowners have been proactively locking in their existing mortgage rates using five-year fixed-rate deals to try and avoid the rises. But if we want to see the impact Brexit will truly have in the future, we should look at the past. Just after the referendum results were posted, the Bank of England cut mortgage rates to a record low of 0.25% as part of a plan to avert a recession in the wake of the destabilising results. If Brexit is amicable, then this would likely continue before rising back to ‘standard’ rates after some time. However, ministers have warned that a disorderly Brexit could result in a big rise in mortgage costs as well as unemployment, which could make mortgage lending riskier for lenders. So overall? We still aren’t sure. There are so many factors in play when it comes to the housing market and Brexit that very few people can hazard a guess at what the true impact would be. While we do have some indication of what might happen in certain areas, the real challenges remain to be seen. For now, our best advice is to act on the current state of things. If you’re looking to sell your house, start the process of selling it. If you want to make the move to buy somewhere, start looking. 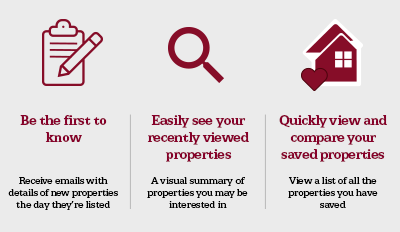 And if you just want to move into a new rental property, get in touch with estate agents now. After all, there is a chance things might improve, but there is also a chance things will get a lot tougher for everyone. At Northwood, we are always happy to chat about your concerns around buying, selling or renting, and the best way to make your next property move, whatever it is. If you would like to know more, please just get in touch with us today.